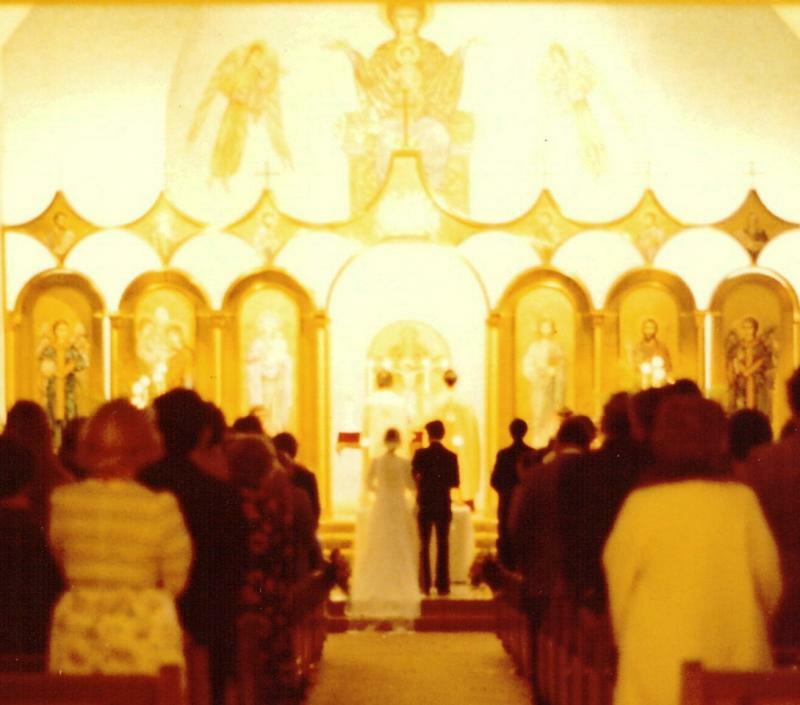 Anyone who has attended several Greek Orthodox weddings has probably seen more than one way that the koumbaro (best man) has crossed the stefana during the ceremony! The koumbaro/koumbara should begin with crossed hands, with the right hand over the left, thus placing the right hand on the bride's wedding crown and the left hand on the groom's. The first crossing of the stefana moves the right hand under the left hand, so that the bride's stefano returns to the bride's head and the groom's returns to the groom's head. At this point, the left hand is above the right hand. The second crossing takes the right hand from under the left hand and moves it over the left hand. As before, the bride's stefano returns to the bride's head and the groom's stefano returns to the groom's head. Now the right hand is above the left hand. 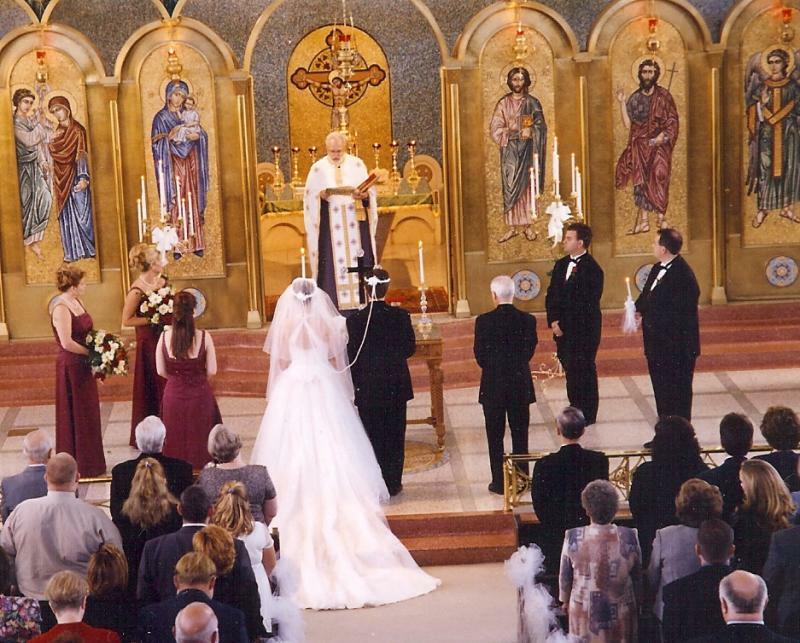 The third and final crossing of the stefana moves the right hand back under the left hand, so that the bride's wedding crown returns to the bride's head and likewise for the groom. The left hand is above the right hand when the stefana crossing is complete. 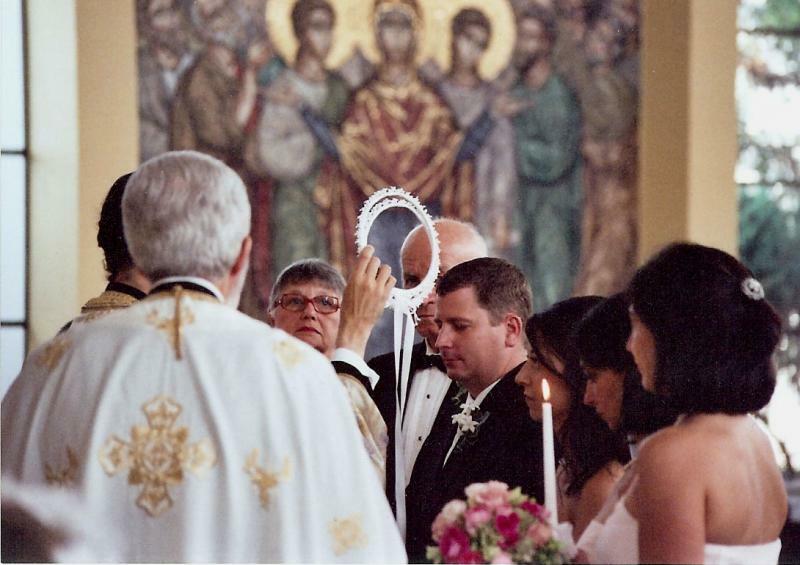 Throughout the exchange, the bride's stefano will always be placed on the bride's head and the groom's stefano on the groom's head. This is done by the koumbaro/ koumbara in the same way that the stefana are crossed. Starting with the right hand over the left, the koumbaro/koumbara takes the groom's ring with the right hand and the bride's ring with the left. The first crossing moves the right hand under the left, with the groom's ring returning to the groom's finger and the bride's ring returning to the bride's finger. The second crossing moves the koumbaro/ koumbara's right hand over the left, and the third and last crossing moves the right hand back under the left hand. Always, the groom's ring returns to his finger and the bride's ring returns to her finger. 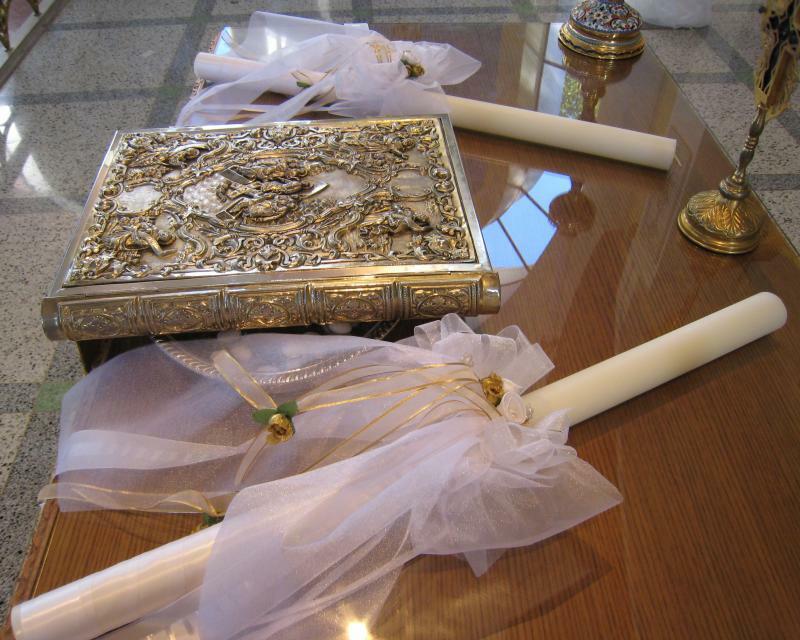 Gratuities for chanter, sexton, priest (traditional but not mandatory). These are usually given by the koumbaro. Copyright Originals by Stephanie. All rights reserved. The information and images on this site may not be reproduced without permission.